Great entertainment for parties, weddings and corporate events. "Thank you for your amazing performance at Palazzo Pisani Moretta ...you did a great job!" Ivana Crispino, PepsiCo Top-to-Top Banquet, Venice. "The illusions you entertain our customers with are truly outstanding ...exceptional talent" Anokaa Restaurant, Salisbury. "Incredibly entertaining...a big, big thank you" Donna Hubbard, Head of Client Connections, SKOPOS. "Everyone was thrilled... a must have for anyone arranging their wedding" Carol Woodward, Springfield Hotel, Wareham. Luke Jermay, consultant for the DERREN BROWN Show. 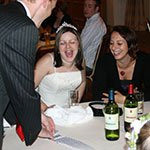 Whether during the photographs, wedding breakfast or evening reception, James is the ideal way of keeping your guests entertained with a sophisticated mixture of Sleight of Hand and Psychological Illusion. Roy Mckenzie is based in Verwood, Dorset and is a member of the Wessex Magical Association, the Association of New Forest Magicians and the Associated Wizards of the South. He performs both Close up and Cabaret magic and always uses audience participation. 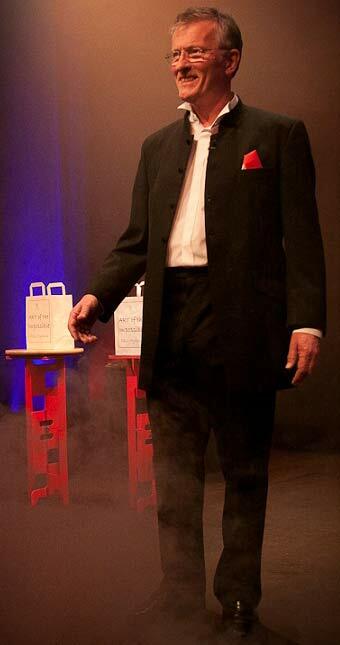 With a plenty of magic and touch of humour, Roy Mckenzie masterfully creates a truly unforgettable experience. 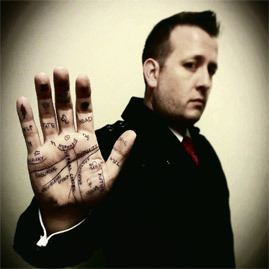 Daniel has been performing close-up magic for several years now. He has regular spots in restaurants throughout the south and has worked for many big name companies. Daniel has a great sense of humour and terrific sleight of hand that will have you laughing and talking about his magic for a long time to come! People are always saying "We need something completely different for our after-dinner entertainment this year." So with master storyteller Clive Greenaway, you can enjoy an affectionate look at one of Britain's best loved comics as he takes you through Tommy's life. This warm tribute is brimming with Tommy's favourite anecdotes and lovable gags - and find out what did happen to Tommy's last fez! Paul has been performing magic since the age of 14, he is a natural performer who loves to entertain. His repertoire caters for all ages and is full of original ideas and effects creating both a magical and memorable experience. I have been performing for just over 6 years at all types of venues and corporate events across the country.